The next time you board an airplane, look to your left and right. The people in the cabin with you are much like yourself. They purchased a ticket online and packed their suitcase (blue or black with wheels) just like you. They arrived at the airport two hours before scheduled departure, or three hours if the flight is international. Along with you, they are looking forward to smooth, clean air and on-time arrival. However, the person on your left paid less money for their ticket! What’s up with that? That’s not all. The person to your right paid less than you AND the person on your left! What??? That’s right, what? 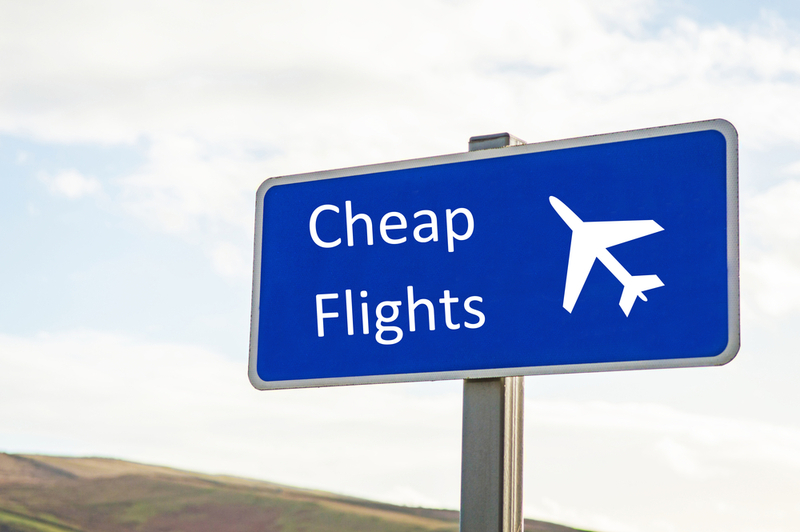 These people are better at finding cheap airfare than you are. Well, friend, that changes today. Gildshire found an expert in the travel hack business who is ready to spill the goods, under two conditions. First, we cannot reveal his name. Second, he will not release the location of his home airport. Other than those two caveats, everything was on the table. Here is what we learned about securing the absolute best deals as they pertain to cheap airfare. A stealth search for cheap airfare can lead to savings. “I just looked at that route between LAX and O’Hare! Now the price is $20 higher than it was a half hour ago.” Is that something you have thought, or even said out loud? A dirty little secret the airlines don’t share is that they know, by your I.P. address, how many times you have searched the same flight. They are, literally, creating tension by manipulating the airfare, causing you anxiety and a need to buy a ticket ASAP. If you’re using Firefox or IE, go incognito by hitting Control (or Command on Mac) + Shift + P. If you are using Safari or Chrome, go incognito by with Control (or Command on Mac) + Shift, + N. This will open a new browser window that will keep your browsing untracked. Search engine companies take a nominal fee of the airfare you pay, so the price you see is a reflection of that charge. The trick is to use the flight aggregators that take the least. In our hackers’ experience, Skyscanner and Momondo consistently produce the cheap airfare he seeks. He likes Kayak, as well, but that site recently dropped some of the discount airlines from their results. Also, some of the best search engines for the price exclude Southwest Airlines as an option. Always check their site. We already knew to avoid weekends, but our hacker friend got much more specific. He advised us to open a monthly calendar and find the best day in that month to fly. We asked about the old statement, “always buy on Tuesday.” He told us that Tuesday is a good day, but not always the best day. He was right! We found round-trip airfare from Seattle to San Francisco in May 2019, for $112! Lower prices to less exciting cities were available, as well. Our hacker didn’t have to tell us to avoid connection times of less than an hour. We’ve been there, had that headache, and needed the Tylenol to get us through the ordeal. We had not, however, considered the option he suggested. Have you ever thought about scheduling a long layover to explore the connecting city? Let’s say that you live in Los Angeles and have always been interested in the Gateway Arch, but your destinations have never included St. Louis. Schedule your next coast to coast flight to stop in St. Louis at 10 am, with a connector at 6 pm. Take the train into town and explore the area around the Arch. Ride to the top, catch a return train (they run frequently) and you are eastward bound. One trip with the best cheap airfare you can find, but with the Gateway Arch as an interesting parenthesis. You would be surprised how many errors are made when it comes to published fares. The number of flight time changes and fare adjustments leads to mistakes. But, airlines receive no Mulligans for their errors. If an airfare looks too good to be true, it may be just that. But, they are still on the hook for the published price. So, stay diligent and pounce! The Spirit and Frontier Airlines of the world serve a valuable segment of the traveling population. The folks who want to get from here to there for cheap airfare and without luggage, legroom, free soda, or anything else that purports to make the journey enjoyable love the budget airlines! You may believe that the budget airlines are not for you, but our travel hacker thinks you shouldn’t judge until you try. Sure, there are drawbacks, but the cheap airfare could buy an extra day at a hotel when you get to your destination. Who doesn’t want an extra day of vacay? Put these travel hacks to work on your next getaway and see how much you can save. Gildshire intends to do that very thing. Happy hunting!